How to watch the Treyarch Studio Livestream March 25 – Ancient Evil, Barebones Reveal, and more! Treyarch has announced when fans will be able to learn more about what’s coming soon to Call of Duty Black Ops 4. On March 25th at 11am PST (2pm EST), fans can tune into www.youtube.com/treyarch to learn more about all three modes in Black Ops 4. Treyach has specified that there will be uncut Ancient Evil gameplay, some new Zombies video premieres, gameplay for the barebones multiplayer mode, updates on what’s coming to Blackout, League Play news and more. In attendance for the live stream will be the usual suspects. Jason Blundell and Craig Houston from the Zombies team. 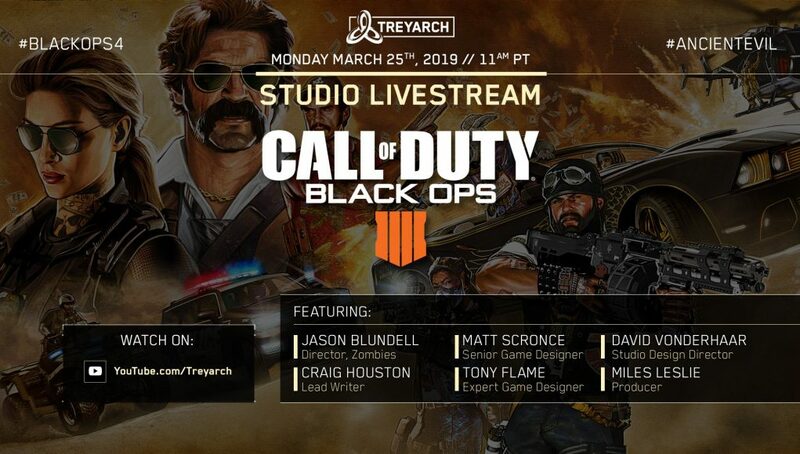 Matt Scronce and Tony Flame will talk Multiplayer and David Vonderhaar and Miles Leslie will most likely cover Blackout as they have in past livestreams. The last Studio Livestream was in February and covered all the new updates that were part of Operation Grand Heist. Before that, there was one in December covering Operation Absolute Zero. While we should not expect any news regarding the next Operation on the 25th, it’s safe to assume we’ll get a lot more information on the “redacted” Blackout experience that was teased in Grand Heist’s roadmap. What do you think this perk will do? 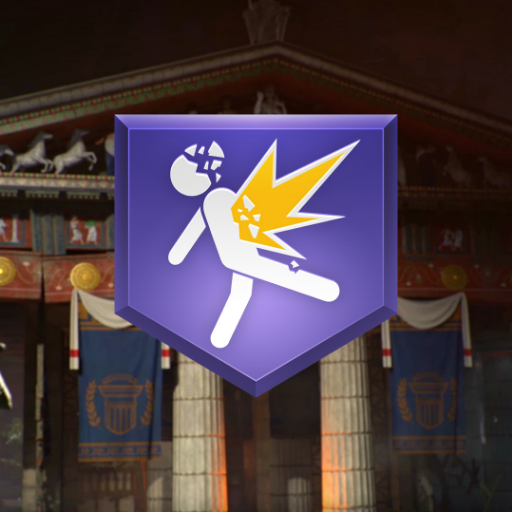 With the teasing of a new perk earlier today, we should also hear more details on that during the livestream as well. Personally, I would love to see the “New Zombies video premieres” include a music video for one of the maps, or a live action trailer like they did for Moon in Black Ops 1. Let us know what you want to see out of this livestream in the comments down below!